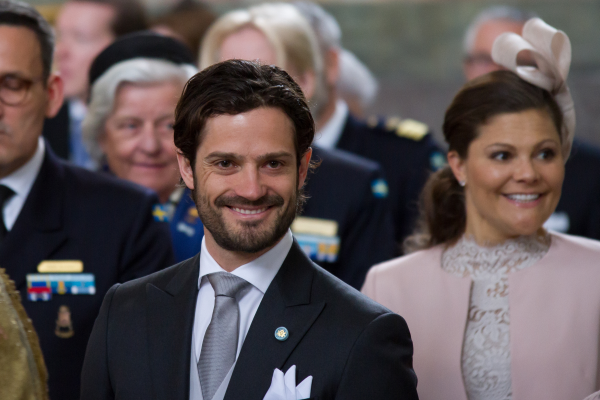 The baby prince's father, grandparents, and Aunt Victoria and Uncle Daniel were in attendance; so was the family of Princess Sofia. 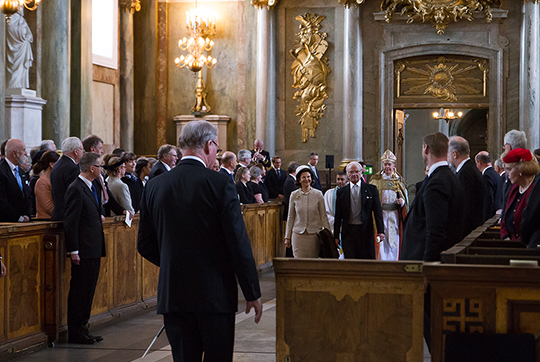 The Queen wore pearls with her outfit for the service. 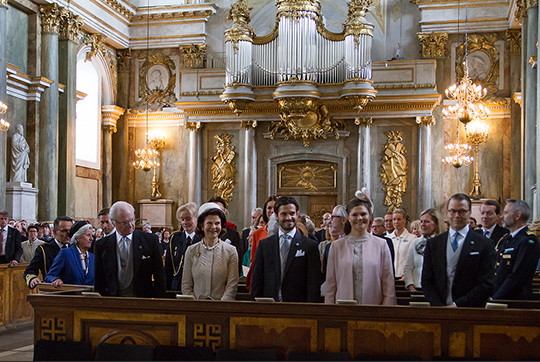 Crown Princess Victoria, visible here behind proud father Carl Philip, wore small stud earrings at the service. But the bigger question, of course, is this: what sort of party decoration does she have fastened to her head?? ?